Relief When You Need It! 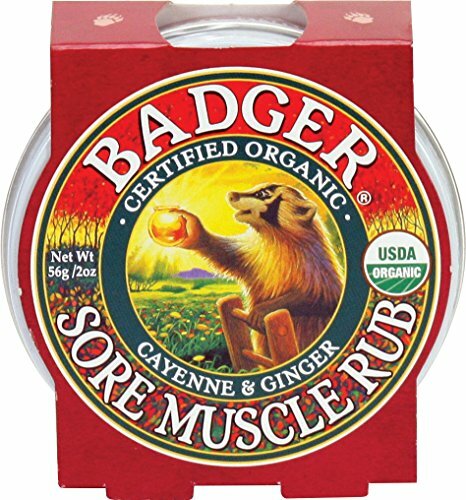 Badger Bill created this original sore muscle rub to soothe his aches and pains from regular Aikido practice. Now it’s your turn to benefit! Experience the power of Cayenne and Ginger to soothe away stress and sore muscles. Perfect for using before and after exercise, after a long day, or anytime you’re feeling a little stiff. Smells great and softens skin – definitely not your typical smelly sports rub! This is our original formula and still a favorite. Rub it in - you deserve it!. Directions for use: Apply directly to shoulders, knees, elbows, back, or anywhere that needs a bit of soothing.